The State will work to make [the Internet] available, accessible, affordable for all. I recently gave a short talk that concluded with some speculation on the attitude of Miguel Díaz-Canel, who is expected to replace Raúl Castro next year, toward the Internet. I searched online and came up with three clues -- two talks he has given and one act. Today, news from all sources -- good ones, bad ones, those that are manipulated, and those that are true, and those that are half-truths, all circulate on the web and reach people and those people are aware of them. He said the worst response to this would be silence and called upon schools to teach kids to spot fake news. The following is news coverage of his talk (2:57). The second talk I found was the closing address to the First National Workshop on Informatization and Cybersecurity in February 2015. The three-day workshop was streamed to over 11,500 professionals in 21 auditoriums throughout the country and Díaz-Canel mentioned online discussion by over 73,000 users. (This "national workshop" sounds like a unique mass-collaboration event and I would like to hear more about the format from those who participated). 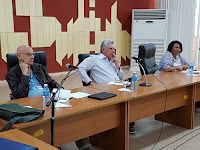 Díaz-Canel said the Cuban State would work to make (safe and comprehensive Internet) available, accessible and affordable for everyone and that the Internet should be a tool for the sustainable human development in Cuba and its effective integration into the community of nations. He recognized the Internet as a tool benefiting the economy, science, and the culture. This positive message was dampened somewhat by his recitation of the threats posed by the US and the responsibility of the citizens to use the Internet legally. Reading between the lines, it may be that he envisions a China-like policy of reaping the benefits of the Internet by expanding it while using it as a political tool by restricting access to controversial content, surveilling users and spreading propaganda. (Freedom House considers the Cuban Internet unfree today and the only nations they consider less free are Uzbekistan, Ethiopia, Iran, Syria and China). The following video shows news coverage of Díaz-Canel's talk (3:26) and you can read the transcript here. The third and perhaps most encouraging clue I found regarding Díaz-Canel's view of the Internet was not a speech, but his support of freedom of expression on the La Joven Cuba Web site. La Joven Cuba, which refers to itself as a "socialist project of political debate speech on the web," was created at the University of Matanzas in April 2010. It was named after a political and revolutionary organization created by Antonio Guiteras in mid-1934. The original tagline was "A blog of university students that speaks of the Cuban reality" and today it is "Socialism and revolution." This does not sound like a pro-US blog, but in November 2012, it was blocked. That's the bad news. The good news is that it was restored in April 2013. 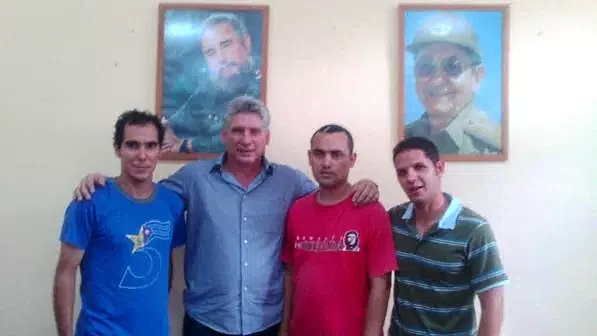 The better news is that Díaz-Canel met with and endorsed the founders of La Joven Cuba. I started this post thinking I would at least come to a tentative conclusion as to the likely Internet policy of Díaz-Canel and the next generation of Cuban leaders, but I am still up in the air. 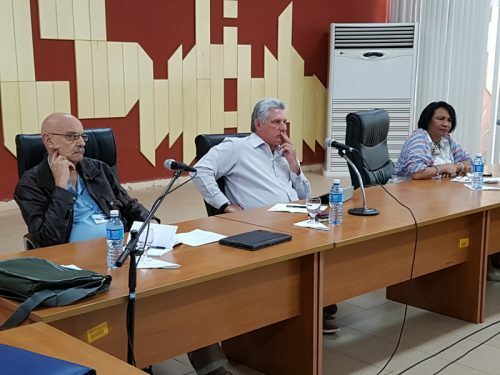 Díaz-Canel gave a speech at the 2017 Cuba Network workshop convened by the Union of Cuban Journalists (UPEC) and the University of Information Science (UCI). It is dangerous to reach conclusions based on press coverage of a speech, but this report left me with the impression that while calling for increased Internet access, he is focused on Cuba's national network. He praised ETECSA for lowering rates for access to the national network and said it was necessary to develop government and e-commerce websites, and infrastructure that facilitates navigation in the national network. The report says he also addressed content citing the need to monitor the press (censorship?) prioritize Cuban press reports (trolling? ), confront subversive projects (from the US?) and, above all, generate Cuban content. Lest this sound negative, let me reiterate that it was based on a second-hand report of the speech and my Spanish is rudimentary. Better yet, I'll end on a positive note. In March, the Cubans held a Workshop on Informatics and Communication for the Society in which self-employed programmers and representatives of state software companies met and were encouraged to collaborate. This month it is Journalists talking about the Internet. Are we seeing slow thawing? The Cuban Ministry of Communication recently re-posted a long article on the 2015 speech by Díaz-Canel at the Workshop on Informatization and Cybersecurity mentioned above. Are they trying to tell us something as the election draws near? Are the times a changin'? You can read the transcript of Díaz-Canel's February 2015 talk here.